India is much more than just Taj Mahal or any other man-made marvel. The country is decked with a vast area of natural beauty as well. 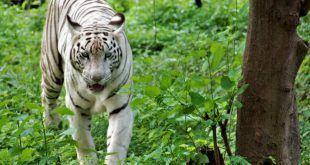 So if you are all done with the beauty of man-made miracles in India, you can plan a trip to explore the best places that are the best example of nature at its best. From the snow-laden mountains in the north to the vast backwaters down south, this country has some of the best places for a wanderer to explore. Not just that, nature brings to you the mesmerizing beauty of water falling from above which is nothing less than a miracle. If you are looking for some sky-touching waterfalls, here is a list of the highest waterfalls in India. The Kunchikal Falls located in Shimoga, Karnataka is a multi-tiered cascade type waterfall that comes down from a height of 455 metres. This waterfall is formed by the Varahi River and currently holds the record for being the highest waterfall located in the country as well as the 2nd highest in Asia. The flow pattern of this waterfall is in the form of steps which creates several smaller falls. The water here flows by the popular Ghati Temple. The best time to visit Kunchikal Falls is during monsoons when the flow of water is at the highest. 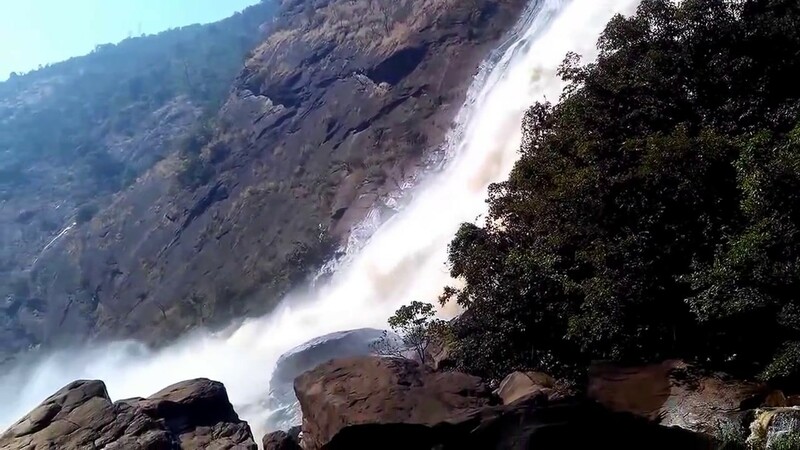 The Barehipani Falls is located in the deeper interiors of Simlipal National Park at the Mayurbhanj district of Odisha. The 2nd tallest waterfall in India, Barehipani Falls is about 399 metres in height and follows a 2-tiered waterfall system. The area surrounding this waterfall is completely lush green and one can spot beautiful birds and get close to the wildlife. After you are done spending some time relaxing by the waterfall, you can also plan a trekking season to explore the area. However, make sure you get in touch with the local authorities to ensure that the area you are planning to trek is absolutely safe. Nohkalikai Falls nestles in the East Khasi Hills at Meghalaya. This 340 metres high waterfall is the tallest plunge type waterfall located in India. 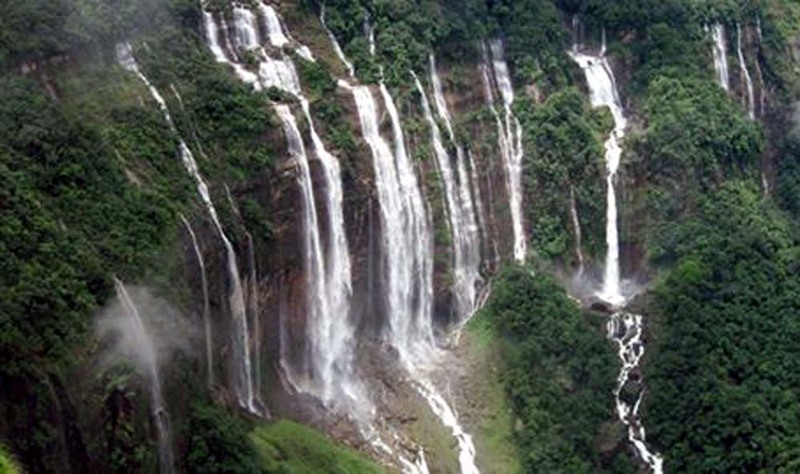 It is located in Cherrapunji which is the wettest location on Earth. The water falling from the Nohkalikai Falls is fed by rainwater which is collected on a summit of comparatively small intersected plateaus that tend to decrease in their strength during dry spells between December and February. The water that has collected below the waterfall is particularly interesting given its green color that shimmers in the sunlight. The Nohsngithiang Falls, which is also known by the name Mawsmai Falls/Seven Sisters Waterfalls, is about 315 metres in height. It is located in the East Khasi Hills District in Meghalaya that forms a segmented type waterfall chain. It is located to the south side of the Mawsmai Village. This waterfall plunges atop the limestone cliffs on the Khasi Hills. One can see the Nohsngithiang Falls in full throttle during the rainy season. This waterfall gets illuminated under the sun, showing the vibrant range of colors as the sun sets making the area particularly mesmerizing. Dudhsagar Falls, also known as the Sea of Milk, is located in Goa and gets its water from Mandovi River. It is 310 metres in height with a 4 tiered cascade that is 60 kilometers away from the state’s capital, Panaji. 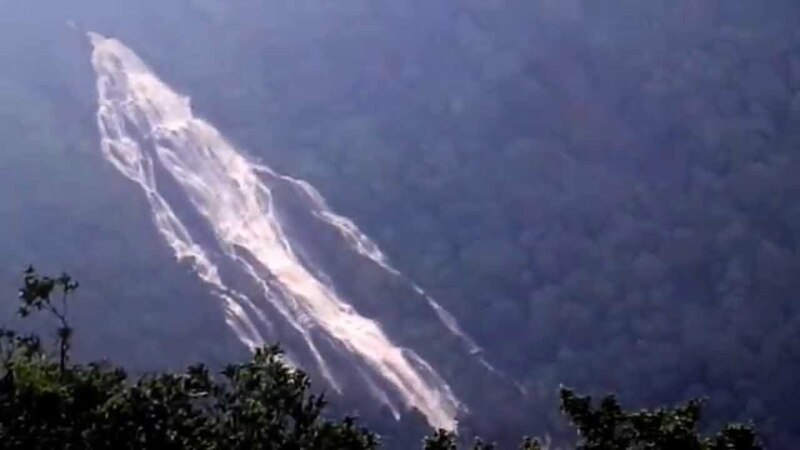 Dudhsagar Falls has a total of 5 drops which is located by the Mollem National Park and the Bhagwan Mahaveer Sanctuary which is located amid the Western Ghats. 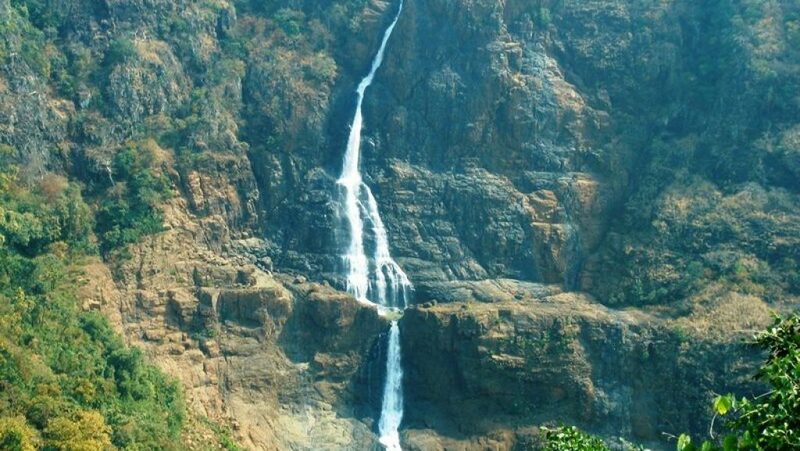 This waterfall forms a border between Goa and Karnataka. This area is completely surrounded by the deciduous forests that come with a rich lustrous biodiversity. 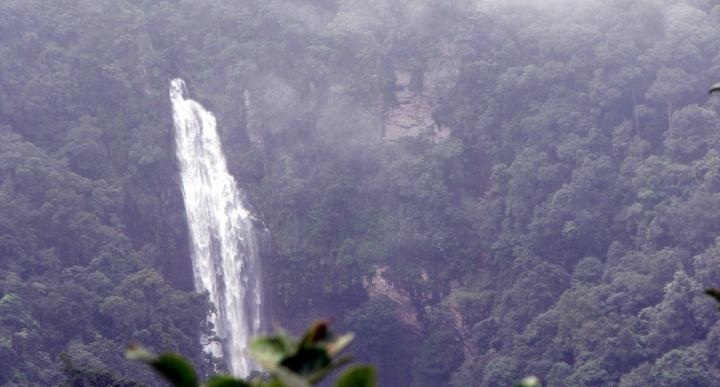 However, make sure you visit the waterfall during rainy seasons to ensure you see the best of Dudhsagar Falls. 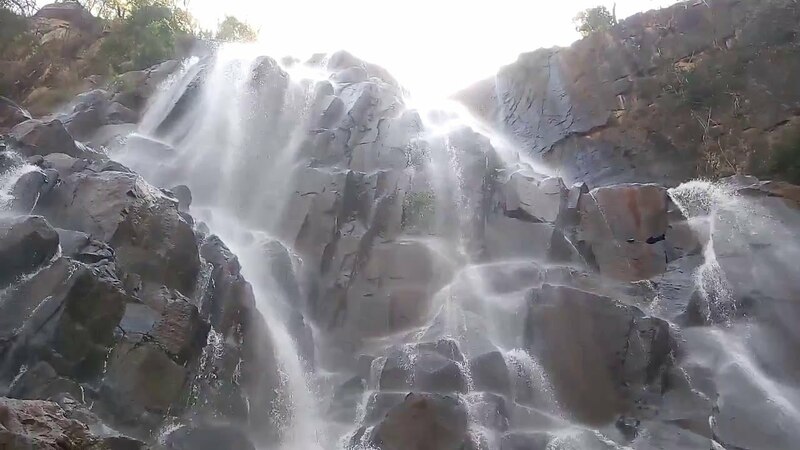 You can also plan a trek to the pool bottom of Dudhsagar Falls as you admire the greenery by the waterfall. Who would not love to appreciate the beauty of a waterfall rising straight from the Great Himalayas? Then come down to Meghalaya to the famous Kynrem waterfalls. Kynrem Falls is a 305 metres high waterfall that is located in the East Khasi Hills district of Meghalaya. 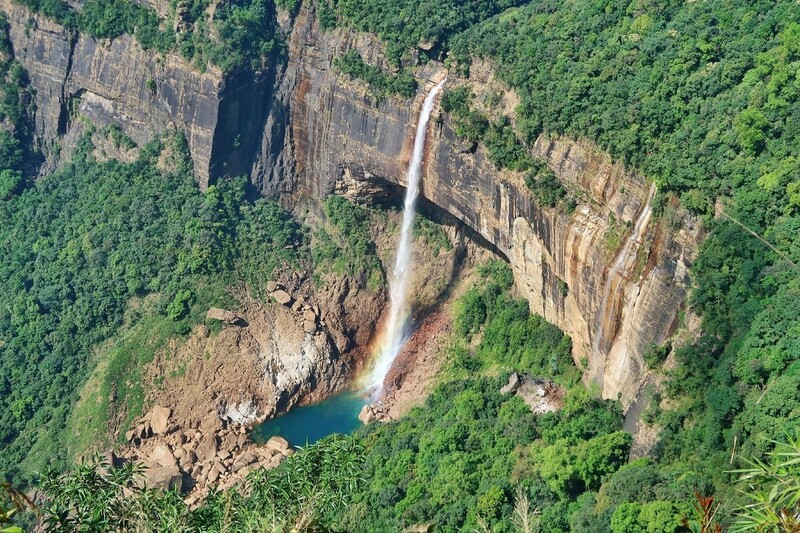 It is a 3-tiered waterfall which can be accessed by a drive of 12 kilometers from Cherrapunji. 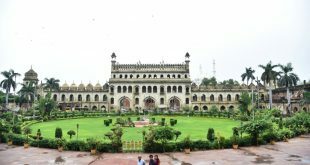 It is based inside the periphery of Thangkharang Park. It is also the 7th Highest Indian waterfall. You can make the best of your visit to Kynrem Falls by making way to the adjoining bridge that provides you the best view of the waterfall. If you are a photography enthusiast, Kynrem Falls will surely provide you a great subject amid the beauty of nature with its majestic look. The Meenmutty Falls is a 300 metres high waterfall which is located about 29 kilometers from the Kalpetta area of Wayanad district in Kerala. This 3-tiered cascade is a beautiful combination of awe-inspiring look with thesun shining through the water. Meenmutty is the combination of the Malayalam language word “Meen” and “Mutty”. Here Meen means Fish and Mutty means Blocked. 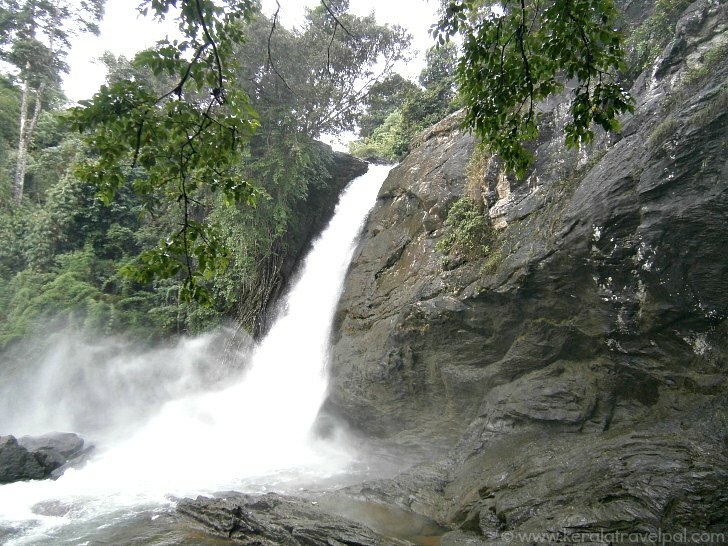 The Meenmutty Falls is accessible through a hike of 2 kilometers through a jungle extending from Wayanad to Ooty. Meenmutty Falls can be dangerous during the rainy seasons given the high inflow. But the waterfalls can be accessed easily at other times of the year. The combination of such natural beauty with seclusion is rare as this. Kodaikanal is an awestriking region of south India that one must explore once in his lifetime. Kodaikanal is not just about the number of hill stations that it supports but also a magnificent waterfall Thalaiyar falls. 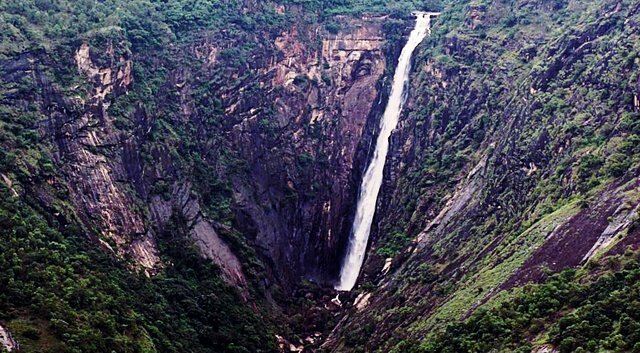 Thalaiyar Falls, also known by the name Rat Tail Falls, is a 297 metres high Horsetail Type waterfall. It is located by the Devadanapatti area of Theni district in Tamil Nadu. Thalaiyar Falls is fed by the water coming from Manjalar River. On any fine day, the Rat Tail Falls or Thalaiyar Falls is vividly visible from Dum Dum Rock Viewpoint located on Batalugundu-Kodaikanal Ghat Road which is 3.6 kilometers towards the west. It is visible across the entire valley in the form of a long and thin white cascading water strip on the backdrop of the black cliff that juts towards the foothills. Thalaiyar Falls is mostly inaccessible to the general public given the fact that there isn’t any road leading to it. You can get to the top half of the fall which is a very rewarding hike. Hiking and trekking are real fun here. However, if you are planning a hike, make sure you are cautious through the pathway. Located in Agumbe of the Shimoga District in Karnataka, Barkana Falls is formed with the water coming from Seetha River. This 259 metres high waterfall is packed with water just during the rainy seasons. Barkana Falls is at the distance of around 10 kilometers from the region Agumbe is enveloped by a line of thick forest that covers the Western Ghats. Trekking, trip to the forest and mountain climbing are some of the adventures one might carry out here. The biodiversity of the Western Ghats can be seen very closely in the adjacent areas of the waterfall. The nearest attraction to this place is Jogigundi Falls and the best time to visit Barkana is between June and August. The closest bus station to this waterfall is Paltan Bus Stand. You can also reach the locale via the nearest airport located in Umroi and the nearest rail station at Shillong. 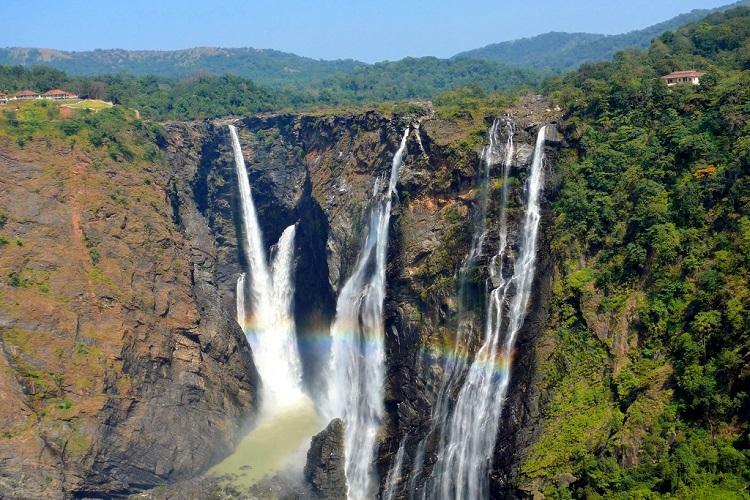 Jog Falls is located in the Shimoga District’s Jog Village in Karnataka. The viewpoint from the falling point of Jog Falls is located by Kodakani Village. The waterfall pattern here is the segmented type and it depends on the rains to become a plunge and majestic waterfall. Additionally, this 253 metres high waterfall also gets its water from the Sharavati River. The name Jog Falls comes from the Kannada word Joga which means falls. Several Kannada speakers living near the Sahyadri Mountains like the Yellapura region use this word a lot. The closest railway station to this waterfall is Talaguppa which is 13 kilometers away from the waterfall area. The nearest bus depot is Sagara, Jogfalls, and Siddapura bus stop. The outstanding beauty and majestic structure of the waterfall creates an unforgettable memory in the minds of every tourist who visits it. A trip to Jog Falls is worth remembering. Khandadhar Falls is a 244 metres high waterfall which is located at the Nandapani area of Bonaigarh in the Sundergarh district of Odisha. This waterfall is at a distance of 104 kilometers from Rourkela through Bonaigarh. This horse tail type waterfall looks a bit like the sword which is why it was named “Khanda” meaning sword and “Dhara” meaning waterfall. A mini stream named Korapani Nala plunges from this great height in a single drop. This place has a legend associated with the same. The legend is popular among the tribals named Pauri Bhuiya that inhabit this area based around the Khandadhar area. The recent incident of mining has led to the downfall of the beauty in the area and the locals have been protesting with regards to the matter. The highest waterfall of Mizoram and the 13th highest waterfall in the country, Vantawng Falls is amongst the most stunning waterfalls of India. The height of the waterfall is as high as 229 metres. It is amongst the two-tiered waterfalls of the country that falls into a picturesque view. The series of water falling through the multi-layered steps makes one fall in for the location. The waterfall is easily accessible and is located near Thenzawl. It is just a few kilometers away from Serchhip and at an hour’s drive from Aizwal. The Vantawng falls lie on the river Vanva. The name Vantawng signifies Vantwang, a local who could swim like a sleek fish even in fast waters like the fall. An incident where a log of wood fell on the valiant Vantwang during his devil-may-care act caused his death. This is after which the tourists were not allowed to go too close to the waterfalls to avoid any such repetition of the accident. The panoramic view of the adjacent areas of the waterfall and the soothing climate are the most alluring features of this area. 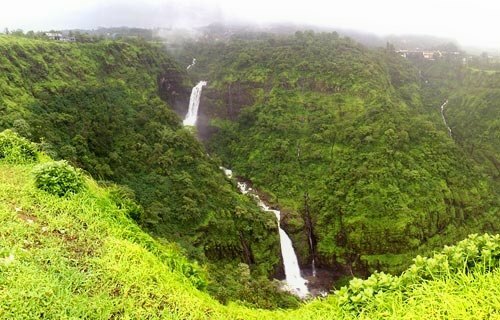 A perfect destination to getaway these vacations; visit the famous city of Lonavala just to witness the stupefying beauty of Kune Falls at the height of 200 metres which happens to be the 14th highest waterfall of India. The emergence of the waterfalls is from awestruck Sahyadri Hills in the background in the mid of dense greenery of the Western Ghats. The three-tiered waterfall feels like God has stepped from heaven for sure onto the world through these waterfalls. The beauty of the waterfalls is at its peak during the monsoons when the water flows with a great gush, cutting the rocks and the forest to make its appearance. Swimming and bathing are allowed under the water stream but in restricted and safe areas. 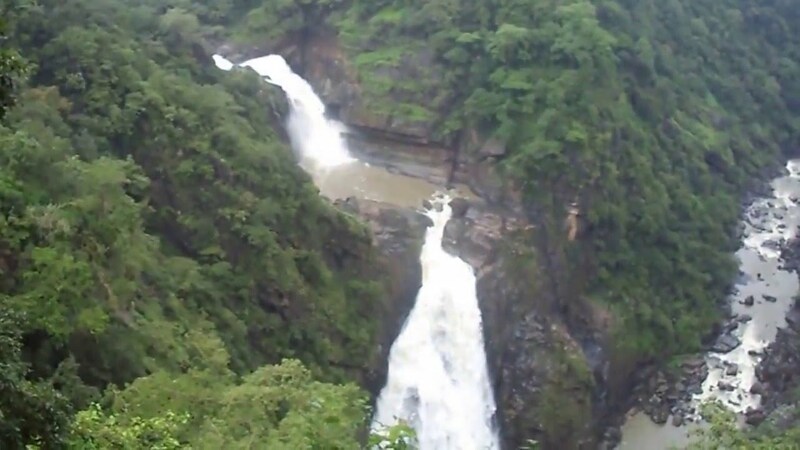 The Kune falls are easily accessible from Pune, Mumbai, Lonavala, and Khandala. 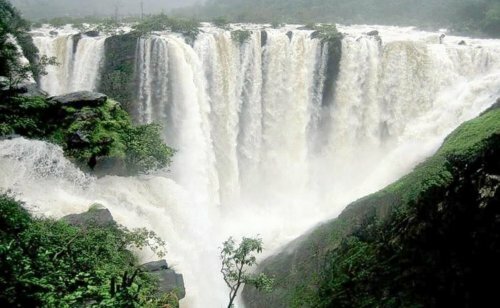 So, whenever you plan a trip to Maharashtra, you must not miss visiting the Kune Waterfalls. Relax and forget yourself completely into the wild beauty, untouched and pure, of the waterfalls. 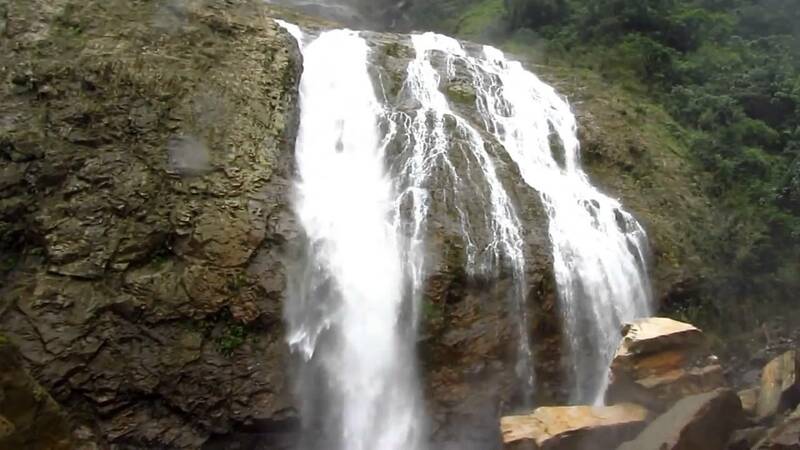 This astonishing jewel, Soochipara falls, sprouts from the famous “God’s own country”, Kerela. Surrounded by mountains, lush greenery of the evergreen and deciduous forests, the charm of the waterfall is beyond description by words. The Soochipara Waterfall with a height of 200 metres is at a distance of 15 minutes’ drive to Sentinel Rock Waterfalls from Meppadi. The vast stretches of the tea garden of Wayanad are clearly visible from the heights of the waterfalls. The water from the falls appears as white and crystalline as diamonds. 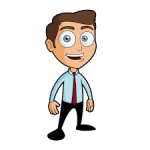 Rock climbing is an adventurous activity that your team may head for. Don’t worry about the safety, the lifeguards and coaches are always at your service. The natural purity of the waterfall is assured to be preserved. It is amazing to know that people are not allowed to carry any kind of plastic items to this place. One can soothe his senses under the cool stream of the waterfalls. The waterfall is easily accessible from the main city. This is one of the musts to try things while in Wayanad District of Kerela. 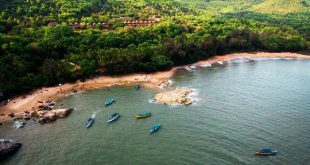 The mesmerizing and absolute pleasure to eyes is the Magod Falls of Karwar in Karnataka. This waterfall, at the height of 198 metres, goes into the bucket list of every traveler who wishes to see nature closely. 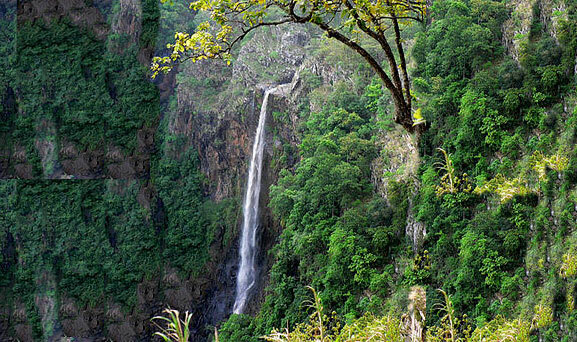 Amid the dense greens and biodiversity, the waterfall is adream comes true for any nature lover. The 360-degree panoramic vision of the serene and virgin atmosphere around the Magod Waterfalls is undoubtedly the most beautiful vision that one would remember picture perfectly throughout his life. The magnificent Magod Falls has a large lake nearby which resembles the mirror of Mother Nature. This is a perfect place for planning a trip with family and friends. One can even go for adventures like rock climbing in the nearby mountain Jenukallugudda (honey rock hillock). The best time to pay a visit to Magod waterfalls is during the monsoons when its beauty is at its heights from July to November. The incredible Odisha never fails to take you by surprise. May it be a beach at Puri or the Marine drive of Konark, the state is full of nature’s marvels. Joranda waterfall is one such place blessed by Mother Nature. The waterfall claims the 16th rank amongst the highest waterfalls in the country with a height of 181 metres. The waterfall is present in the core of the national park Similipal. The national park is located in the district of Mayurbhanj, a district that signifies tribal heritage of the state. The site of the emergence of the waterfall is amidst a peaceful and calm environment full of a variety of wildlife. Similipal is the home to a number of tigers and elephants. One can choose to stay near to the falls at a personalised cottage in the forest and get the feel of camping, anytime of the year. Apart from this, the authentic delicacies of this place are worth remembering. One should make a plan to Similipal, Joranda Waterfalls if you wish to fall in love over and over again. Planned a trip to Karnataka? Then do visit the very famous hill station of the state, Kemmangundi. The gorgeous waterfall near this small astounding hill station, The Hebbe Falls is next in the list of the highest waterfalls in India. The location of the waterfall is unlike other waterfalls. 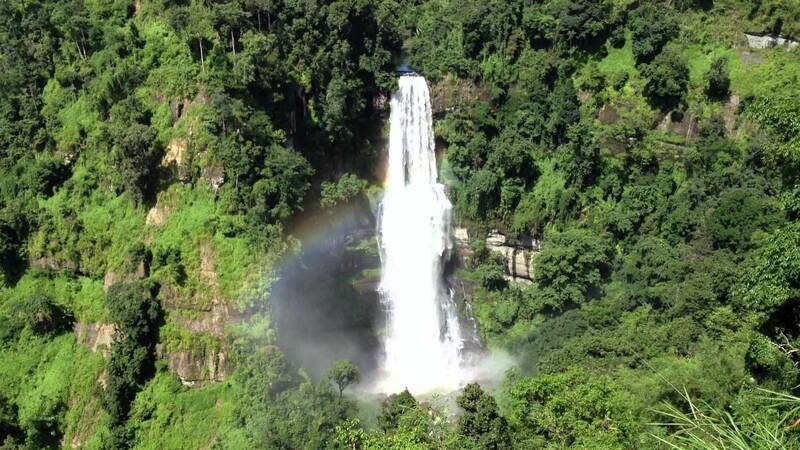 This waterfall is situated amid the large coffee estate at the height of 168 metres. 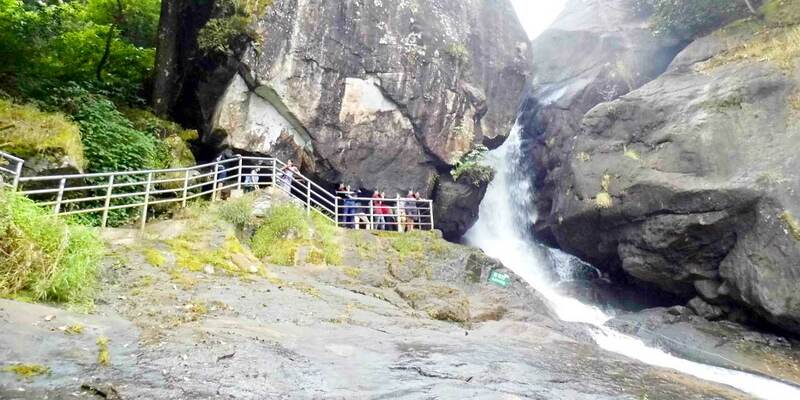 The waterfall allures the tourists in a two-stage form, the Chikka Hebbe and Dodda Hebbe. Hebbe waterfall can be explored by walking or through forest jeeps. The waterfall is a must visit especially during the rainy seasons. The actual beauty of the falls can otherwise be witnessed in other times of the year too. Trekking is really fun at the hill close to the waterfalls. Hebbe waterfall can be approached from Bangalore, Kemmangundi, Birur, or Mangalore. It lies close to the National Highway number 206. The chilled water will undoubtedly clear the clutters in your mind. So, take a break this weekend and drive to Hebbe Falls in Karnataka. 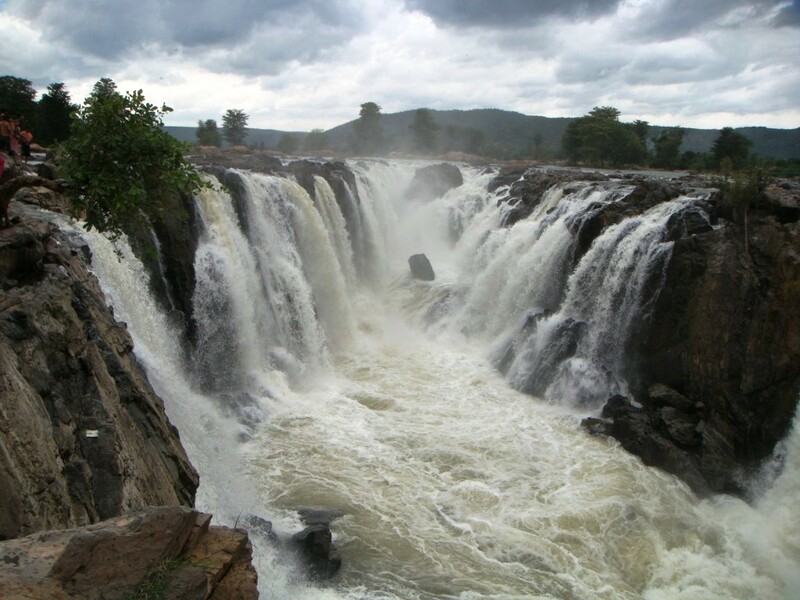 The Duduma waterfall lies at the border of the two sister states of India namely Odisha and Andhra Pradesh. 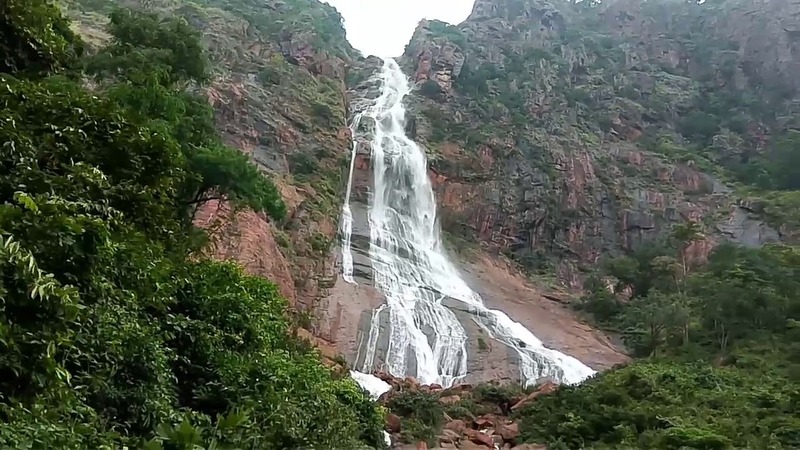 The Koraput district of Odisha takes the pride of owning the waterfall. The waterfall at 157 metres height resembles a horsetail feature and formed by the river Macchkund. The waterfall marks the presence of a pilgrimage “Matsyakund”. The serenity of the surroundings is well maintained by a collaborative work of both the states. Thousands of tourists flock to this area to see the waterfall in two stages. The native tribes of Odisha, the Bonda tribe stay close to the waterfall. So, you can know the tribal way of living, their culture, and tradition even better here. The sharp peaks and trenches of the mountains here create a curiosity amongst the travelers. The perfect time to visit the area is during winters. Winters here jewel up the entire area with fog and mist. 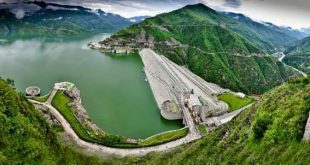 Kullu is one of the most preferred holiday destinations in the world. 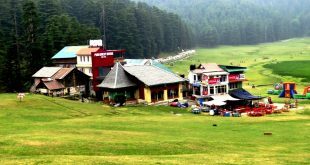 This hill station is top-rated amongst all the others. But to wonder, there is a waterfall unknown to numerous tourists. The Palani Falls is ranked as number 19 amid the list of highest waterfalls in the country with a height of 150 metres. A gorgeous waterfall that creates scenic beauty that one finds in movies and photographs, Palani falls mesmerizes everyone who chose to visit it. Even a touch of the icy rivulet will generate a sensation of chill in the body. It is absolutely thrilling to watch the gushing water from all sides to a concentrated lake beneath. 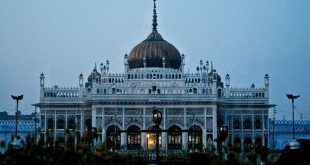 This place is not just a famous picnic spot but is also a pilgrimage for devotees of nature. The perfect time to visit Palani Falls is between March to June and September. Last but not the least, the 20th in the list of waterfalls in India with the height of 143 metres, is the Lodh Falls of Latehar district of Jharkhand. This waterfall is also known as Budha Waterfalls. In the mid of thick woods, emerges the waterfall. The waterfall flows in multiple tiers from the plateau. The music of the water flowing can be heard from quite a distance. It is a part of river Burha. A very interesting phenomenon is shown by this waterfall known as Knick point which interests many geologists. The waterfall can be reached from Ranchi, Netarhat, and Daltonganj. Unique because of its beauty, the waterfall is the favorite picnic spot of the people from nearby states. Why wait for, when you can take a ride right away this weekend to the Lodh Falls for a short break.